Milford Sound is an area of extraordinary beauty. It offers a majestic fiord, dramatic and awe inspiring scenery and prolific flora and fauna. 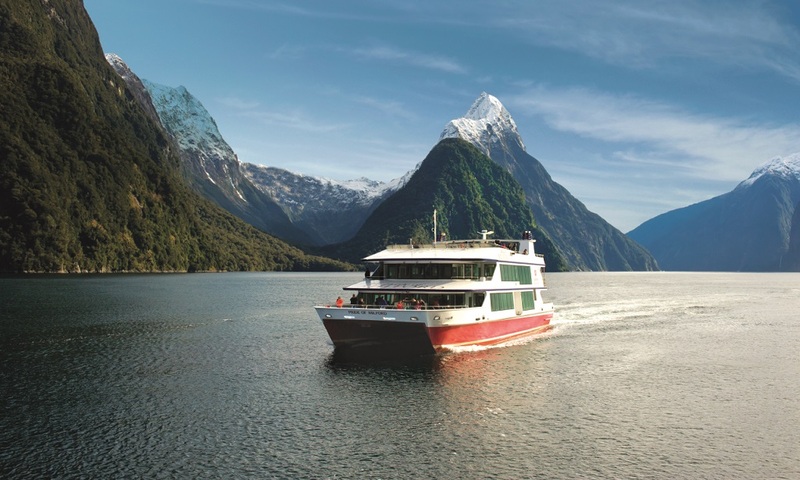 Although the flight to and from Milford Sound has regularly been described as the most stunning part of our tour options, combining this with a Milford cruise on the fiord happens to be the most popular option. Each tour begins with a complimentary pick-up from your central Queenstown accommodation provider (charges may apply to rural locations). After check-in completion, your pilot will give a thorough pre-flight briefing on the route and scenic highlights likely to be encountered. These include the famous Skippers Canyon, the Paradise region (recently made popular as film locations for Lord of the Rings/Hobbit Trilogies), and the Donne glacier among many other awe-inspiring features. Your 35 minute flight concludes with an over flight of the fiord of Milford Sound, prior to landing. The second half of the adventure begins in Milford Sound, where your pilot personally escorts you to the boat docks to board the ‘Pride’ to enjoy your Milford Sound Scenic Cruise. This purpose-built catamaran is operated by Southern Discoveries, which traverse the full length of the 12km fiord right out to the Tasman Sea. Air Milford guests receive reserved seating on the boat, with complimentary tea and coffee. Spacious outdoor viewing decks allow you to take in all of the Fiordland scenic highlights, including waterfalls taller than Niagra Falls, and an array of indigenous flora and fauna. Following your Milford Sound cruise your return flight takes in many of the pristine alpine lakes and waterfalls that Fiordland National Park is recognised for, including the Sutherland Falls which span 580m (1904ft). Flight time is another 35 minutes, with a total trip time of approximately 4 hours. 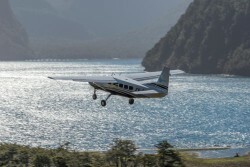 After enjoying your scenic flight back from Milford Sound landing back in Queenstown we will return you to your accommodation to complete the journey. Because of the weather dependent nature of flying in the Southern Alps to Milford Sound, we recommend booking in for your first available day in Queenstown. 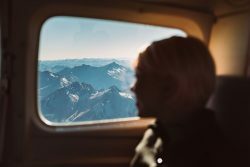 So that, should the weather be unfavorable for flying on the first day, you will have maximum flexibility to roll your excursion on to a following fine weather day. Milford Sound Cruise aboard a catamaran cruise ship – from April 2018 all cruises have been upgraded to Nature Cruises. On the 9.30am departure it is possible to request to book the Cruise Milford boat. This is a small single hull vessel with maximum capacity of 75 passengers. It boasts a newly renovated lounge area with reserved seating for Air Milford guests. Prices and timing remains as listed above, however the included food listed does not apply to this cruise option. Click Here to book and in the comments section, please note your cruise preference.